The Keep Oregon Green Ranger Program is an interactive, Wweb-based fire prevention education program for children 8 to 12 years of age, and encourages parent/teacher involvement. 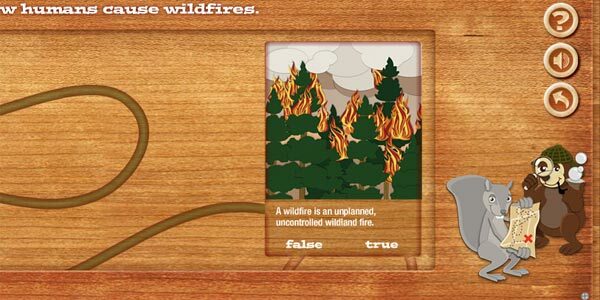 Students discover Oregon’s forests, learn about the types of human-caused wildfires that threaten forests, and explore ways they can help prevent wildfires. Individual students, classrooms or entire schools can participate. Upon completion of the program, students are rewarded with a patch and a certificate. Teacher lesson plans and printed activities are also available.